There are women who for various reasons cannot produce eggs or produce bad quality eggs. The reasons may be endocrinological (premature menopause, age) or in some cases previous ovarian surgeries. These women can have children thanks to egg donation from another woman. These women are administered a treatment for the creation of an artificial cycle so as to safeguard the appropriate conditions for the implantation of the embryos, while donors are administered treatment to stimulate egg production. 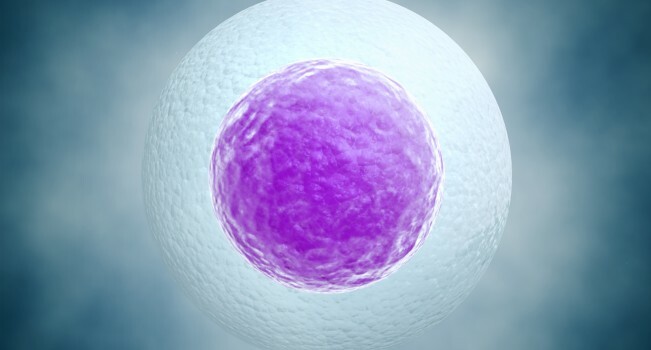 In case of egg or embryos donation, the written consent of the donor and recipient along with their spouses is required and it applies the medical confidentiality regarding the anonymity of the donor and the recipient. The donor does not know the recipient and vice versa. This means that the child to be born will have no dependence or relationship with the donor but only with the recipient who will be its legal mother. In respective cases of serious problems in the husband’s sperm, where the ICSI cannot apply, a sperm donor may be equally used. When does a woman proceed to egg donation? Advanced age and definitive ovarian failure are factors why a woman resorts to pregnancy with egg donation. At what age are there fewer chances for a woman to have a child with the use of her own genetic material (ovum)? Women older than 43 years and since the ovarian function conforms to the biological age have very few chances to have a child with their own biological material. How are the donors selected? The first criterion for the selection of donors is their age (under 30 years), their full medical – blood test for transmitted diseases and the natural resemblance to the recipient’s general characteristics. Is it possible the recipient to choose the donor? According to the government bill regarding the assisted reproduction in Greece, egg donation is anonymous so the communication between donor – recipient to be impossible. Is there any document signed for the safeguarding of the process of egg donation? Consent forms are signed by both sides- the donor and the couple of recipient- partner for their information and the acceptance of the procedure.